If your dream is to live by the sea and wake up every morning contemplating the views of the sunrise, choose to live in Blanc Altea Homes. 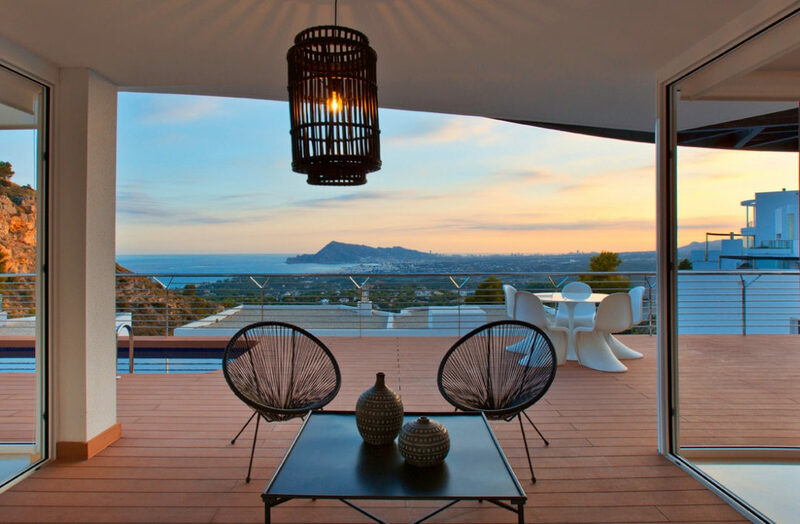 In this private urbanisation, with views of Altea and Benidorm’s skyline, you will find independent, luxury villas, each designed according to the environment which surrounds it. As a result, they are unique creations with modern architecture in which every last detail is completed with care. 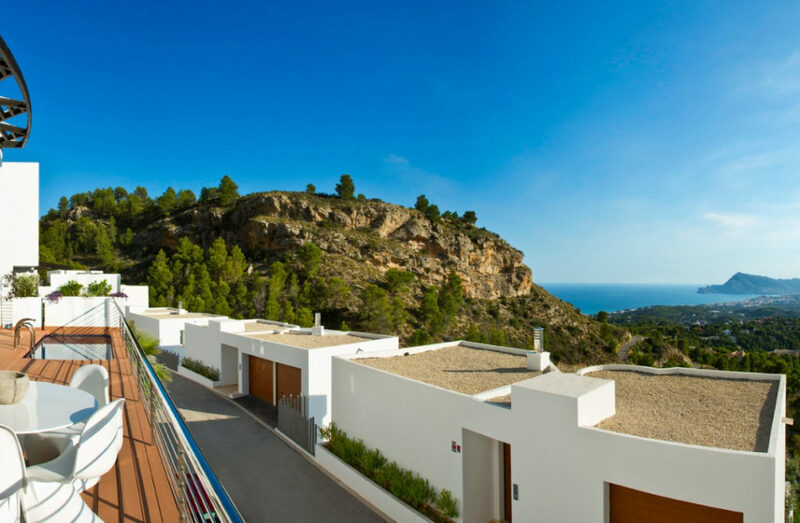 These homes have three or four bedrooms and three or four bathrooms and are designed to make the most of the incredible views and the Costa Blanca sun which shines 365 days a year and floods every room with light. Enjoy your home which offers every comfort: an open kitchen and spacious living-dining room which opens onto the terrace, with enormous glass panels which allow the natural light into your home. The terrace is a large space where you will find two completely different atmospheres for meetups with family and friends: a dining area where you can alternate long conversations around the table with a dip in the pool, and a chill-out area which is the ideal place to relax as you admire the picture-perfect views. 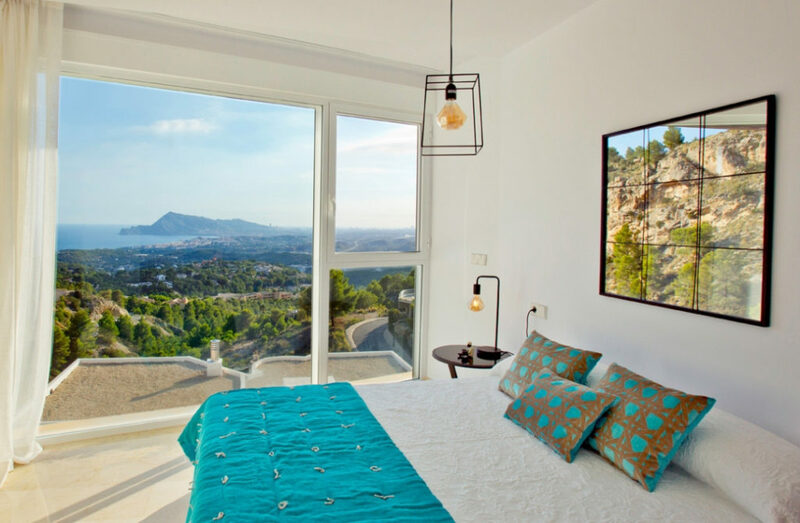 In addition, in Blanc Altea Homes you will experience the pleasure of living in a real, natural environment with idyllic landscapes formed of the sea’s pure blue hues and the greenery which surrounds them. What’s more, the proximity to the municipality of Altea offers all the benefits and services of a large city as well as the charm of the old town in the highest part of the locality, with paved streets, whitewashed houses, and the Mare de Déu del Consol church with its dome. In Altea, there are culinary choices for every palate and many local businesses with handmade products which display their work along the streets and walls. Furthermore, just 10km from this urbanisation we find Benidorm, the city of skyscrapers, which offers a varied range of leisure options thanks to its many shows, shopping centres, and theme parks. If you would like more information about this urbanisation, fill in this form and we will get in contact with you. Blanc Altea Homes is waiting for you, will we see you there?